You can change the pen size and colour when you draw in the annotation column. 1. In the Xsheet View menu, select Annotation > Pen Width > 1, 2, 3, 4 or Change Current. If you selected the Change Current option, the Pen Width dialog box opens. 2. In the Pen Width field, type the amount of pixel you want the pen size to be. 1. In the Xsheet View menu, select Annotation > Change Pen Colour. 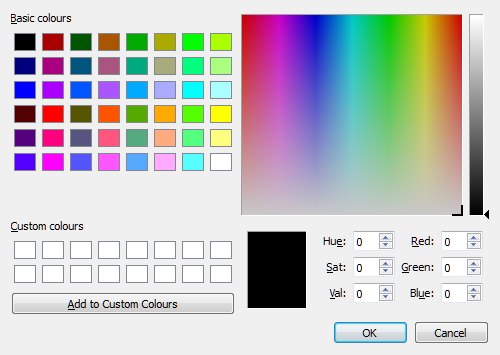 The Select Colour dialog box opens. 2. Choose the new colour.